3,500 sq ft of natural light, a Notions Nook, a Tea Bar and Heavy Duty SEWING with sergers, embroiders, & covers. MEMBERSHIP PERKS include exclusive hours, supplies, and discounts on classes. Apply the Coworking concept as the solution to running your textile product based business Manufacturing /Operations/ Shipping/ Storage under ONE ROOF at one price. Here at Sips N Sews, you will experience a fun and friendly environment to grow, explore, and experiment with your love of sewing. As a member, you have access to all that our facility has to offer. Our studio floor is 3,500 square feet and membership includes unlimited machine usage. Machines: A wide range of manufacture brands such as Janome, Juki, Singer, Pfaff, Consew, White and Baby Lock, straight stitch, sergers, heavy duty and blind stitch. We have a variety of over 50 different sewing machines here available for your access. These machines include straight stitch, sergers, industrial, embroiderers, quilters, and cover and blind stitch. Presser Feet: We also have any type of pressure foot you may need for any sewing project. These include appliques, blind hems, button, buttonhole, cording, darning, invisible zippers, leather dyes, over edge foot, pintuck, piping, quilting seam foots, quilting guides, rolled hems, ruffler, walking foot, straight stitch, zigzag, and zipper. View our Equipment in more detail here. Dress forms; in all size for both male and female styles. Notions Nook; Everything you need for getting your fabric prepped. All your tool notions, from scissors & seam rippers, to the less common expanding buttonhole gauge. We also have an extensive selection of structural & decorative notions, you never have to worry about elastic, interfacing, hook/eyes or zippers again, everything is included in your membership. Cutting Tables: The tabletops made from natural Quartz are perfect for ironing and cutting. In the area you can also find irons, fabric weights, and tailors chalk for your usage. Large table is 5×8, medium table is 2×3 and there are also small sizes, perfect for almost any size project you can think up. We believe in sustainability, and know the first place that we can start with making a difference is our own closets. By taking non-favored one garment a month and altering into something we like. We have saved landfill, money and created something we can enjoy for years to come. We encourage everyone to take advantage of the scrap and upcycle bins for your personal sewing projects, as well as encourage you to donate all your scrap fabric or unused clothing. Self-Serve Tea Bar: Last but not least, the “Sips” part. Choose your mug or teacup with saucer from our eclectic collection. Pick your favorite flavor of tea and enjoy on one of our books from the Sewing library while relaxing in the Sipping area, your next project is just waiting to be inspired. This membership has been exclusively designed for individuals who sew personal projects. Their studio usage is for entertainment and enjoyment as well as sewing skill growth. Membership Benefits: include unlimited use of studio space, machines, notions, patterns, reference library, self-serve tea bar, and sewing class discounts. Locker Cubbies – Keep your sewing projects at the studio. No need to haul your projects back and forth to the studio each visit. Bring a lock and store your projects securely. Cubbies are 12 x 12 x 18, there is room for 6 or more yards of fabric. Choose the Membership option *with Locker* to enjoy this perk. Become a Sewist Today ! Click here to see Membership Benefits. All membership begin on the day of purchase. All Sips N Sews memberships are recurring and prepaid on the 1st of each calendar month. An additional prorated amount may be automatically be processed to bring the account current with billing schedule based on calendar month. At the time of your 1st visit, please bring a valid government issue ID, order number and student id(if applicable), to complete registration form. Use of the Sewing for Fun – Sewist, Senior or Military priced Memberships for business or profit is prohibited. Sips N Sews reserves the right to upgrade memberships that violate this policy automatically to the Business Specialist Membership. Day Pass – Not ready for a full membership? Only need the studio for a day? Sips N Sews offers a Studio Day Pass for only $35. This includes unlimited access to the studio including all machines, the Notion Wall, cutting tables, irons, and self-serve tea bar. In and outs are okay. Education not included . ** Day Pass User must be able to thread machine and wind bobbin without assistance. Education is NOT included. ** NON-transferable – Valid Date of Purchase Only. Purchase Your Day Pass Now! Notions Nook: We’ve got everything you need to complete any basic sewing project. The Notion’s Nook has a wide assortment of tools, structural and decorative notions that are available for free to members. These notions include needles, nippers, scissors, measuring tapes, thimbles, pins, yard sticks, pincushions, interfacing, bias tape, quilting templates, buttons, elastic, zippers, hem facing, lace, lingerie elastic, dress forms, decorative trim, seam rippers, fabric markers, snaps, hooks and eyes, iron ons, velcro, and more. Spend some time in The Notion’s Nook find out how wonderful a complete supply of tool, structural, and decorative notions can be. Thread: Our giant thread wall contains thread in every color, including silk, cotton, nylon, and canvas selections. Patterns: Please feel free to use patterns underneath the main cutting table. Let us know if there is a specific URL you would like downloaded and printed. We encourage members to use pattern paper or wax paper located in the Notion’s Nook for custom creations. Our pattern cabinet contains over 100 patterns such as totes, dog beds, scarves, vests, aprons, and much more. Our cutting tables are made of natural Quartz and are perfect for ironing or cutting fabric. 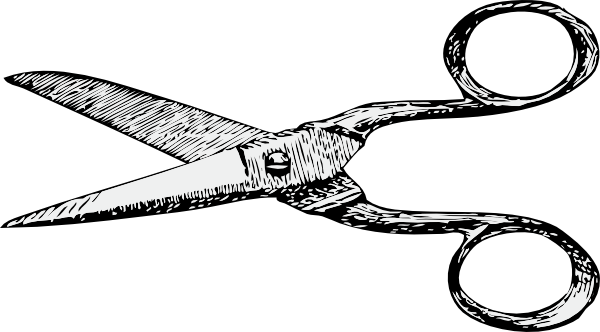 Sips N Sews offers an onsite scissor sharpening service. Our experienced technician uses the Tomek Sharpening System. Tomek equipment is renowned for its water cooled process that creates tighter beveled and edge angles. Sharpening services include scissors, shears,and blades of all sorts. Drop off hours are available.